Richard DeVore graduated from Maija Grotell’s ceramics program at Cranbrook in 1957 only to return in 1966 as Artist-in-Residence. Trained in the vessel tradition as opposed to functional pottery making, DeVore creates objects of metamorphosis. Usually tall and enclosing, or shallow and opening, his containers have holes, crevices, swelling and shifting walls that recall aspects of both the human figure and geological formations smoothed together by hand. Vessel is a classic example. 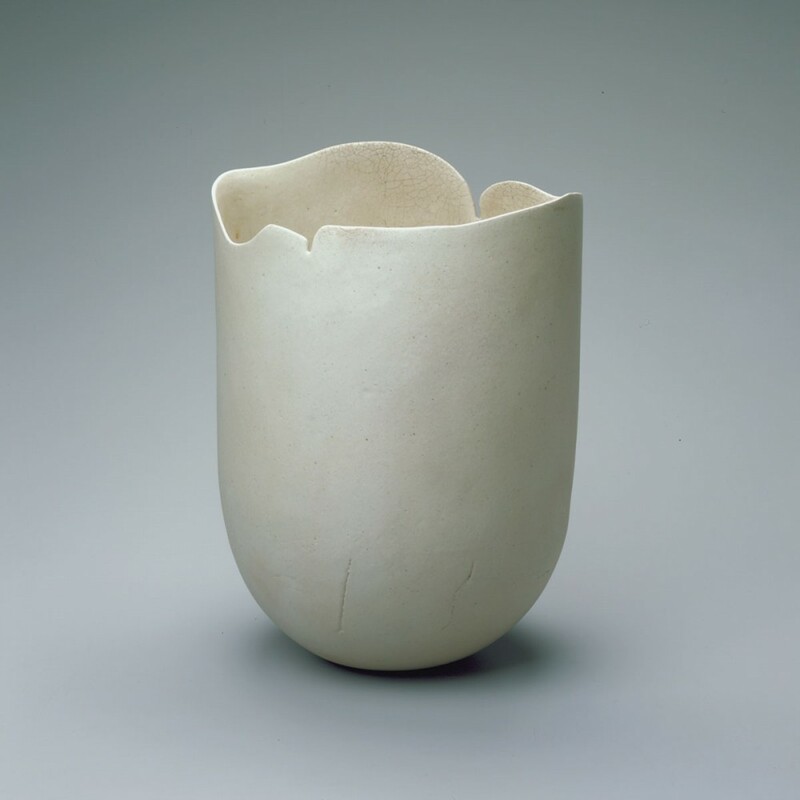 While this tall form appears to have regular sides, subtle indentations mark the human touch and carefully incised lines near the bottom provide sensual variety. The lip with its cut edge rises and dips, establishing front and back with the energy of a dancing line. Multiple firings make the layers of golden beige tones appear intrinsic, like those in rock or flesh, though drips on the interior make the liquid nature of the material visible too. Darker crackle glaze near the top of the inside draws the eye into the container’s depths. The work’s multiple natures embody a sense of transformation.